Oh snap, we've found Nessie the Loch Ness monster! Well not really, but Blue's latest consumer microphone pays a bit of homage to the mythical creature with its unique design. Blue's Nessie is a $100 adaptive USB desk mic designed for non-professionals looking to record voiceovers, vocals, instruments and more without having to tinker around with knobs and settings. The Nessie automatically sets the appropriate EQ, de-esser and level controls depending on what you're recording in real time to produce professionally enhanced, and expertly finished sound without any post editing on your part. The Nessie features a studio grade, built-in pop filter and shock mount that help reduce both vibrations from a desk, and disruptive plosives for a clean polished sound. The Nessie has a single internal mic condenser capsule with a carded pattern which can be adjusted up or down, and a zero-latency headphone output complete with volume and mute controls for monitoring your audio as you record it. And that's not all the Nessie has to offer. In case you'd like to take things into your own hands, there are three types of recording modes that are optimized for richer vocals, more detailed instruments and straight up raw audio recording which you can set yourself and edit in post production. You can even directly connect the Nessie to your iPad using Apple's camera adapter. Looks for Blue's Nessie USB mic to be released in Q1 2013. 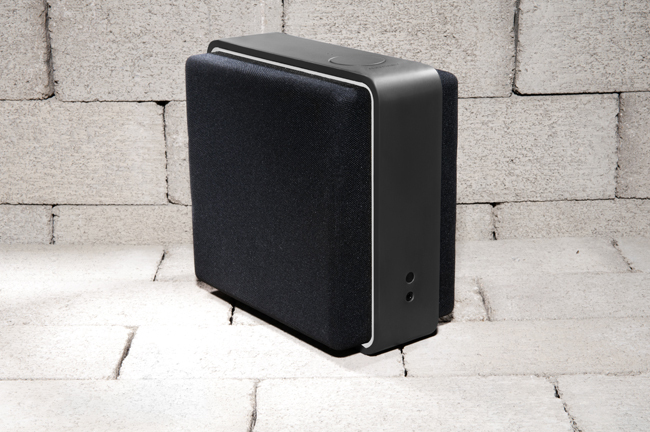 Our favorite speaker dock maker, Audyssey, has announced of a new AirPlay wireless music streaming machine of a speaker dock called the Lower East Side Audio Dock Air. Yes that's a long time, and yes this is in many ways similar to the good old South Of Market speaker dock we reviewed and fell in love with last year, only with less of a head turning streamline design. Audyssey's latest and greatest promises to outperform any comparably priced AirPlay audio dock on the market thanks to Audyssey's proprietary Smart Speaker technology. These are big words we can just about believe after using Audyssey's South Of Market dock. Wireless streaming is obviously the main focus here, so much that there isn't an actual dock to dock your iPhone or iPod. 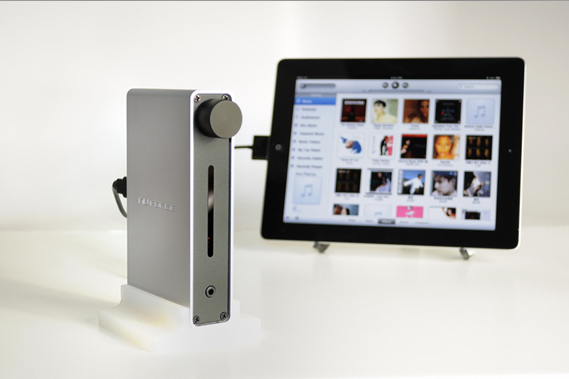 You'll be able to stream music from your computer using iTunes and with iPhone, iPod Touch, iPad with AirPlay. under the hood, the Lower East Side Audio Dock Air is packing two 4-inch passive bass radiators for that signature rumbling deep lows Audyssey is known for, two 3-inch midrange woofers, two 1-inch tweeters all delivering distortion-free, power and precise sound quality. If you feel like using some cables, there are 3.5mm line input and 3.5mm headphone output ports as well. Good sound doesn't come cheap, you'll be dropping $400 on the Lower Easy Side Audio Dock Air. It'll be available starting November. Big news today as HTC announced its partnership and 51% stake acquisition of Beats Electronics, the company responsible for that sleek Beats By Dr. Dre line of most wanted headphones, and more recently speakers docks worldwide. Full details are yet to be announced as to what exactly this partnership will bring to the table, and most importantly to the consumers. It's very safe to say that we're going to see HTC incorporating Beats By Dr. Dre speakers in their well made handsets in the very near future just like HP has done with their Beats branded laptops. HTC could have a big advantage over competitors if it will use the Beats audio in their handsets or even offer bundles that include a Beats branded headset along with a handset. Expect to see a whole lot of HTC smartphones in music videos.